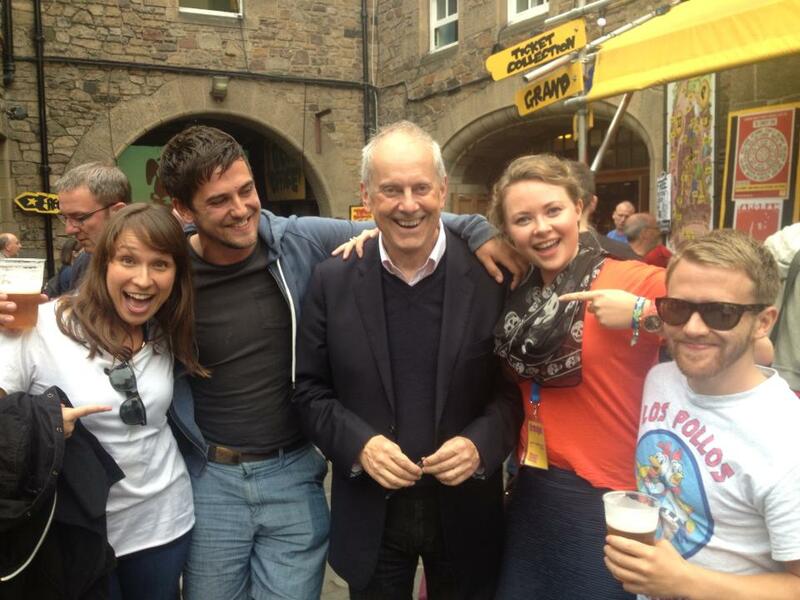 Gyles is fast becoming a fringe institution with six Edinburgh shows already under his belt. I’ve been a fan ever since my mum took me to see Gyles in ZIPP! One Hundred Musicals For Less Than The Price Of One (I’m a true fan) way back in 2002. He’s one of JLA’s favourite raconteurs as well, and this year the doyen of after-dinner speakers returns with a brand new show all about the power of words. Seems fitting for a Scrabble expert, acclaimed author and star of shows such as Countdown, Just a Minute and Wordaholics. Go! Another one of our after-dinner speakers will also be heading up north this summer, but he’s making his fringe debut. Henry Blofeld joins forces with Peter Baxter in a hilarious double act at Assembly George Square Gardens, where they’ll be sharing tales and gossip from their distinguished careers broadcasting across the globe. They’ve already toured the world and the show promises to be a thoroughly entertaining hour of ‘good men behaving badly’. Jay Rayner’s back in town for one afternoon only with My Dining Hell. I have it on good authority that this is well worth catching, especially if you’re a foodie, obviously. The restaurant critic speaks about our fascination with bad reviews – just what makes us so obsessed with sticking the knife in? It’s also a Q & A session, so if you’ve any burning questions to ask, August 24th’s your chance. OK, so he doesn’t fall into the category of after-dinner speakers, but I couldn’t write this blog and not mention the brilliant Marcus, who we’ve worked with for years. Why? Well, aside from the fact he’s a ‘riot’ and ‘the funniest man in corduroy’, according to our clients, he’s in not one, not two, but THREE separate shows at this year’s Fringe. Exhausting. Again, not within my self-imposed after-dinner speakers remit. However, I’m not going as off-piste as you might think, because if it’s after-dinnerentertainment you’re looking for, look no further. This comedy hip hop improv act are always a dream to work with, and storm every corporate gig. The masters of audience interaction, they’re back for a limited run of their 2014 hit Hot Desk. An honourable mention goes to one of our vintage after-dinner speakers, Nicholas. It’s his 15th year on the Fringe with his ever-popular comedy chat show. Head down to the Pleasance Courtyard for Happy Hour fun with a panel of celebrity guests, changing daily. Cheers! Nicholas Parsons’ Happy Hour. 17:10, Pleasance Courtyard. (7th – 16th, not 11th). Which after-dinner speakers have I missed, and what tickets will you be booking this year?